Tempering is a technique used to give the chocolate a glossy finish and pleasing texture. Simply melting the chocolate to make homemade confections is not enough if you want to have exceptional results. Tempering is only necessary if you are using chocolate as a coating or if you are making chocolates with molds (or something else where the texture and appearance of the chocolate is important.) 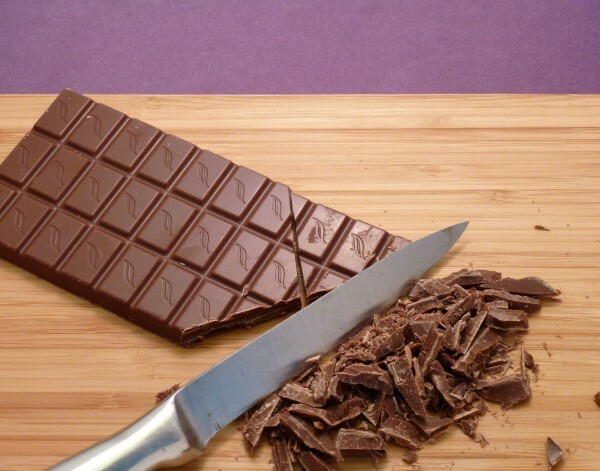 You do not need to temper chocolate if you are melting chocolate for a recipe such as ganache or brownies. Tempering chocolate ensures proper crystal formation when the chocolate re-solidifies after being melted. There are different types of crystals found in chocolate, which have different melting points, shapes, and stabilities. The aim of tempering chocolate is to obtain many small beta crystals. Beta crystals are more stable and have a higher melting temperature than other crystal forms. They are also more compact. These beta crystal characteristics give the chocolate a smooth, glossy finish. Untempered chocolate, that is just simply melted, will most likely form alpha crystals, which are unstable. Alpha crystal formation results in chocolate that is dull and soft. It can also caused unsightly chocolate bloom. 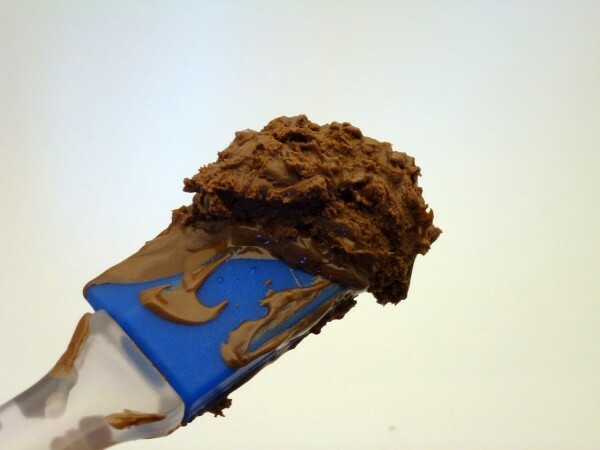 All you need to temper chocolate at home is a thermometer, a bowl, a rubber spatula, and some good quality chocolate (all the tempering in the world will not help you if you have bad chocolate.) You need couverture chocolate, which has a higher cocoa butter content. You can buy couverture chocolate online by clicking here. I’ve tried to temper cheap chocolate, and it was disastrous; this is a technique that requires good quality chocolate to work properly. -Gently melt the chocolate to a certain temperature to ensure that all the crystal forms are melted. -Cool and agitate the chocolate to promote beta crystal formation. The nice thing is that if you mess up, you can just remelt the chocolate and start over again. To start, finely chop the chocolate, or use chocolate buttons (remember couverture, NOT chocolate chips.) Do not use large chunks of chocolate because you want to chocolate to melt evenly. Gently melt the chocolate to a temperature of 50 C for dark chocolate, 45 C for milk chocolate, or 40 C for white chocolate. Once temperature is reached, remove bowl from heat. Transfer the remaining 1/3 of unmelted chocolate to the bowl and stir together to melt the remaining chocolate and to cool the mixture. Place the bowl in a cold water bath to cool more quickly. Cool to a temperature of 27 C, while stirring. Place the bowl back over the heat for a few seconds and stir. The temperature will rise quickly and if it rises too much, the chocolate will be out of temper. If you accidentally let the chocolate get too warm, it won’t be ruined, but you will have to re-temper it. You are aiming for a temperature of 30 C for dark chocolate, 29 C for milk chocolate, and 28 C for white chocolate. *NOTE: These temperatures are just guidelines and could vary depending on the brand of chocolate you use. Check manufacturer’s details to know what temperatures you should be using. Once the tempered chocolate is at the correct temperature, it should be smooth and shiny. You can now use it to fill chocolate molds, dipping strawberries, making chocolate decorations for cakes, etc. 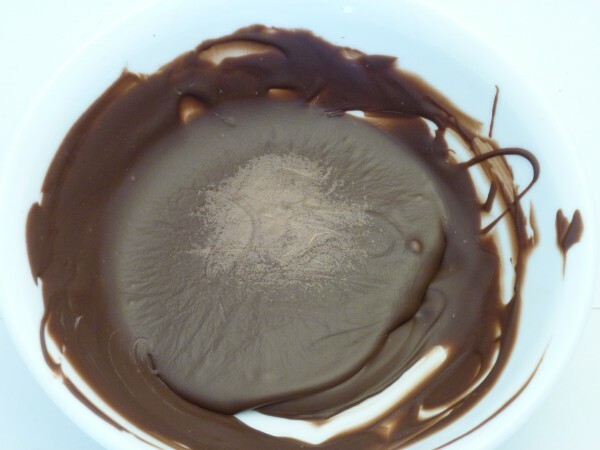 Chocolate bloom is fixable, but requires you to remelt and re-temper the chocolate. 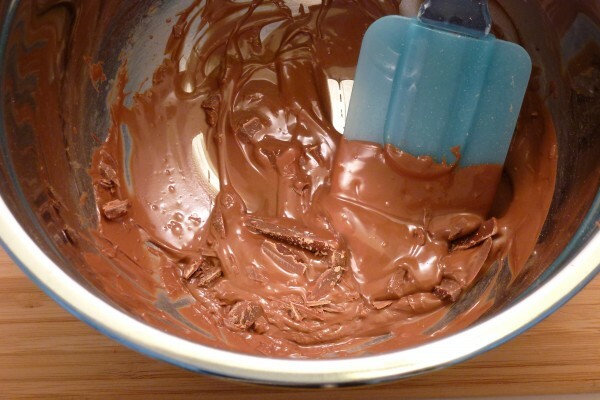 Tempered chocolate will harden very quickly and will pull back slightly from its mold. It will by shiny and will snap when you break a piece off. If you haven’t tempered your chocolate properly it will take longer to harden and will be dull.